Welcome to our trading library! Here you will find the best e-Books about forex, stock, binary and social trading. And the best part – most of them are for free! We hope you enjoy them and become a successful trader! Do you want to learn forex trading? 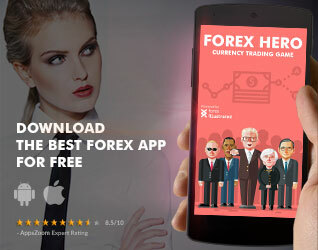 Want to understand how the currency exchange market works and how to make money in it? Then this is the eBook for you. Part of our goal in writing this eBook was to make it the most easy-to-read and effective eBook about forex in your library. You will not find long boring theory, or other type of page fillers because we have tried to give you just the essence of the most crucial information and most effective strategies. So if you want to become the next George Soros, this eBook is the fastest way to get there! This e-book features the top binary options trading strategies for beginners and beyond. All the info is presented in a visual manner that is easy to understand, even without much financial experience. There is a selection of the easiest and most beloved strategies of experienced binary option traders for determining how to spot the trends before they form. There are also useful tips starting from how the Pro traders set up their work-space, what are the best times for binary trading (both daily and weekly), how to read the charts, which time frames to choose (60 sec, 10 minute, 15 minute or 30 minute) and which to watch out for, and much more. In this e-book you will find illustrated case studies of real forex trading in action. You will learn how pro traders analyze the market, how they spot opportunities for trading, how they determine entry and exit points and much more. This e-Book is a crashcourse summary of the most effective Forex Trading ideas, strategies and tricks. The best for beginners as it’s rich with pictures, examples and expert tips without the use of jargon.